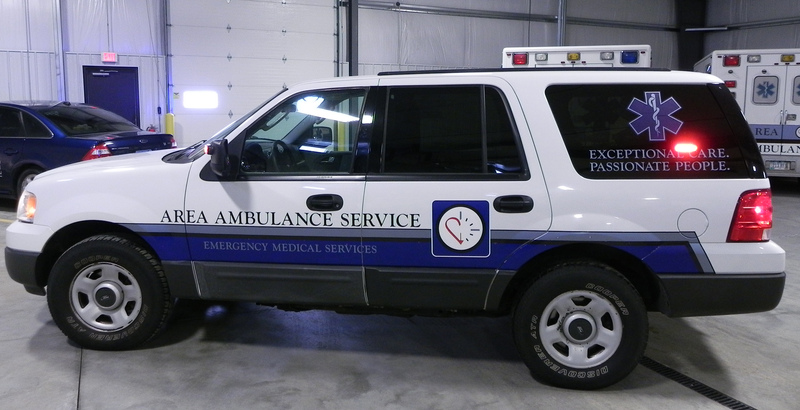 In addition to its fleet of 12 ALS Ambulances, AAS also deploys specialized vehicles to ensure quality patient care in a variety of situations. In 2011 Area Ambulance Service purchased a John Deere 625I. 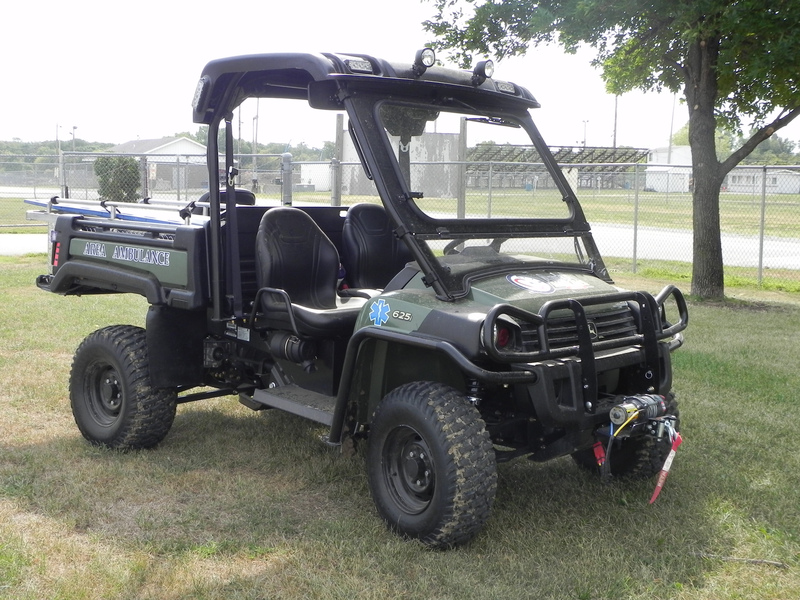 This EMS Gator is equipped with a patient transport device that allows safe and secure transfer of patients from remote locations and/or crowded venues. The EMS Gator is outfitted with Advanced Life Support equipment and contains all of the essential medical supplies needed to deliver rapid medical care in areas where an ambulance response may be difficult. 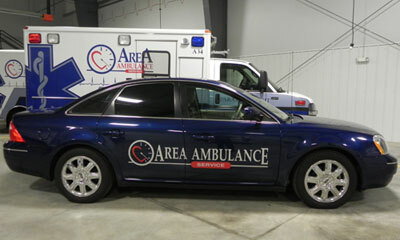 In May of 2012 Area Ambulance Service purchased a sedan to transport behavioral health patients who may not require ambulance response but are in need of safe transportation from one facility to another. To date, AAS has completed over 300 transports with its Secure Car. The implementation of this program has enabled AAS better meet the needs of our patients and fellow health care providers by allocating resources appropriately. In 2011 Area Ambulance Service re-established its bicycle unit, one of the very few certified EMS bike programs in Iowa. AAS medics partnered with the Cedar Rapids Police Department to complete an 8 hour course which included practical bike riding skills and agility field maneuvers. Utilizing these bicycle medics enables AAS to deliver prompt patient care in various situations when an ambulance response is particularly challenging. A200 is Area’s Medical Director’s Response Vehicle. It is staffed by Medical Director, Dr. Brad Wisnousky, DO. A200 is furnished with the ALS medical equipment necessary to provide EMS response in the field while allowing for direct supervision of AAS medics. A300 is Area Ambulance Service’s Rapid Response Vehicle. AAS’s supervisory team utilizes A300 to respond to calls when medical crews on scene need additional support. A300 is also used as a command vehicle for larger emergencies. It contains all ALS equipment found on an ambulance.